This is the first time the event has been held in San Diego. NBC 7's Ramon Galindo reports from Liberty Station. Hundreds of people gathered early Sunday morning for San Diego’s first Walk Against Hate. The 5K, organized by the Anti-Defamation League (ADL), first started in Philadelphia 10 years ago. The walk is a celebration of diversity and equal rights in a time when anti-Semitism is increasing. 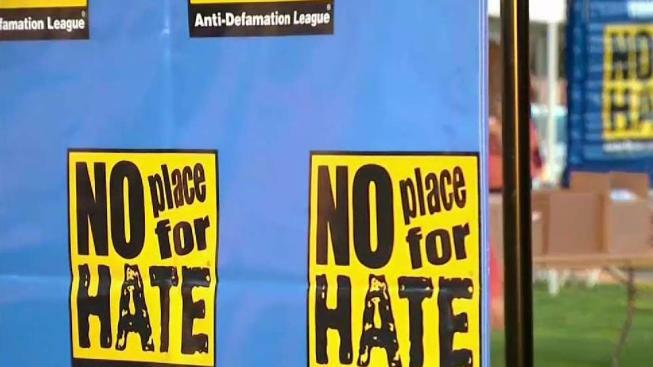 In March, the ADL released their Annual Audit on Anti-Semitic Incidences for 2017, and the numbers in San Diego grew by more than 40 percent. The family-friendly walk started at Liberty Station at 8:30 a.m. and all the proceeds benefit the local chapter of the ADL. Along with the walk, there was an expo with organizations such as Alliance SD and Pride San Diego highlighting the work they do in the community. “We’re really just trying to end the hate in San Diego – make America’s finest city no place for hate,” Zipkin added. NBC 7 was a sponsor of the Walk Against Hate.